I am asking for a teeny bit of grace today and tomorrow while I attempt to catch up. If you've contacted me recently and feel you might as well have called your local Congressman, given the lack of response... please don't give up on me. I'm coming. I promise. Chin up. Vitamins down. Sweet tea poured (twice). Music blasted. Head down. GAME ON. 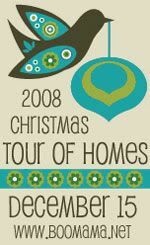 Announcing the 2011 Holiday Mini-Session Event! This year, my maternity leave has overlapped what is normally my busiest shooting time. So in order to squeeze in as many of you as I can, I'm opening these dates and locations for mini-sessions! Only a few spots are left, so don't wait any longer to book! To reserve your mini-session or for pricing information, just email me at stacey@staceywoodsphoto.com ASAP with your preferred time slot, and I will confirm back for you as soon as I can. We've got some gorgeous new sets of cards this year... designs that are elegant, fun, whimsical and classic, to suit all tastes. I can't wait to see all my favorite families (and meet a few new ones!) again this year. See you soon! maybe my OFFICE is where the wild things are. I found out yesterday that my email hasn't been working properly. I'm not sure if it's the email from my website contact form or my blog contact form, or just email in general, since they seem to be coming from all over. But I'm working on getting the issue corrected with my web folks. In the meantime, if you have emailed me in the past couple of weeks and I have not responded yet (I make every effort to return calls and emails within 24 hours ~ 48 hours at the latest), please know that I have not received your email. If you wouldn't mind, do call me instead at 727-698-0344 until I get the issue resolved! I thank you in advance for your patience! Now then, it's been far too quiet here on the blog, don't you think? Rest assured I've been busy behind the scenes shooting and preparing image galleries (which, ironically, is why I haven't had time to blog said sessions!). New client galleries are going up every day, orders are being placed at my labs, and the boxes of prints are arriving daily. I felt a little sorry for my Man In Brown who just delivered a box of prints to my door and then tiredly said to me, "Hang on, there are two more boxes!" ;) So, in the spirit of kicking things into high gear for the Christmas portrait rush, and to quote my little friend Max (well, Maurice Sendak at least) say it with me: "LET THE WILD RUMPUS START!" And start it has! I only have one or two openings left in November, and about two open in December. Thank you to ALL of my very patient and fantastic clients for enduring the madness that is Christmas Rush, right along with me! I'll be right back with some sessions to share.... there are so many I need to catch you up on! SWP is still closed for the rest of this week -- just trying to regroup from our trip and nurse the kids back to health. I've got a few galleries to finish up from sessions right before Christmas break, so clients: watch for those this coming week while I'm behind closed doors and can proof-proof-proof away. Shooting resumes January 5! And I have lots of photos to come back and share with you soon as well. Hope y'all had a beautiful Holiday, no matter what you celebrated! Speaking of getting organized, it took me a full week to get my tree(s) up, but they're finally finished! So! On December 15th, come back to my blog with a steaming cup of hot chocolate (with marshmallows of course). I'll be posting photos of my home, and my halls, all decked out for the season. :) After you take a "tour" of my home, you can browse other bloggers' homes in just a click or two. I'll also be sharing a favorite holiday recipe (or two... or five). How's that for serving refreshments!! Hope to see ya soon! Call it first, and it's yours! I've just had a client reschedule, so I have an opening on Monday November 10 if any of you are interested. First one to contact me gets this spot!! Otherwise I'm totally booked up until the middle of December. So... stacey@staceywoodsphoto.com or 727.698.0344. GO!! !